The MPC175-851-FL is a 17-inch ultra slim medical-grade panel computer, which supports a low power Intel Core2 Duo processor with up to 8GB of dual-channel DDR3 system memory. Powered by the Mobile Intel GM45 Express chipset with integrated mobile Intel GMA 4500MHD, it offers excellent 3D graphics and DualView capability. 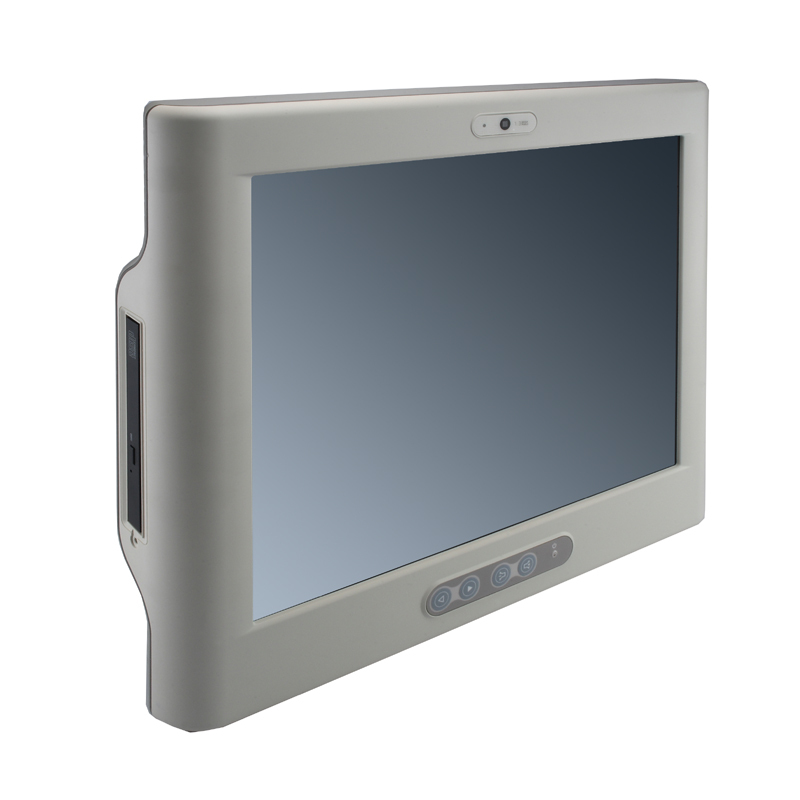 This medical panel computer is certified with medical certifications to meet medical grade approval standards. The fanless design and waterproof enclosure allow it to operate reliably and quietly. With only 76 mm in thickness, it can be applied in any medical environments. The MPC175-851-FL supports a PCI or PCIe interface for expansion flexibility and an internal antenna for wireless expansion. With a built-in 1.3 mega pixels camera and speakers, this durable panel computer is also the best compact solutions for VoIP and remote monitoring. Furthermore, it supports one 2.5" HDD and a CD-ROM. This safe, reliable and user-friendly medical panel computer can ensure customer's project success and best suited for eHealthcare, Point of Care, and telemedicine.